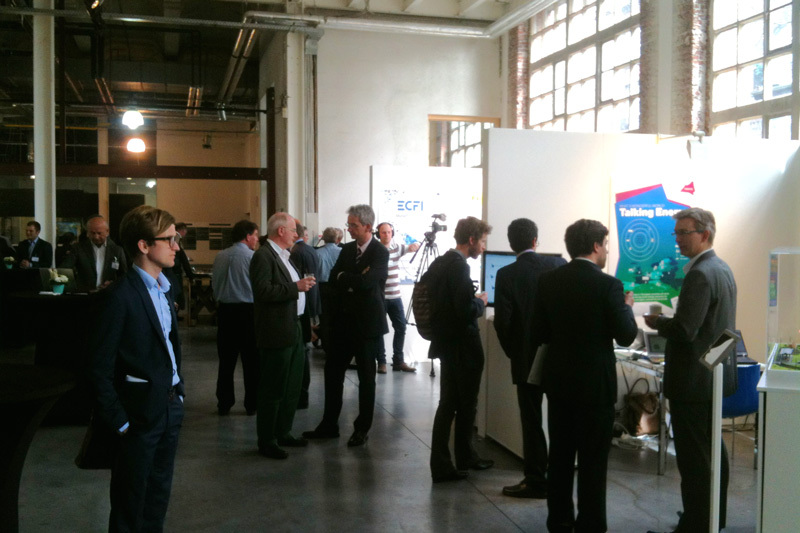 The 1st European Conference on the Future Internet („ECFI") showed the first results and demonstrations of the Future Internet - Private Public Partnerships (FI-PPP) phase 2 use case projects. The two-day programme addressed current discussion about the implementation of FIWARE, business models, legal considerations and more. FINESCE provided a workshop regarding the challenges of Future Internet technologies in the energy area: "Future Internet and Smart Utilities". All use case projects showed applications based on FIWARE Generic enablers at the booths area. The FINESCE booths, organised by B.A.U.M., was well attended. EON presented their building management system from the Hyllie trial site. In Horsens Insero monitored the energy consumption of all smart home devices in all houses. FIR presented the retrieval of energy data of the machines form their smart factory in Aachen. Engineering gave an insight about how events can influence the demand on their energy marketplace in Terni and RWTH Aachen simulated events on a distribution grid. 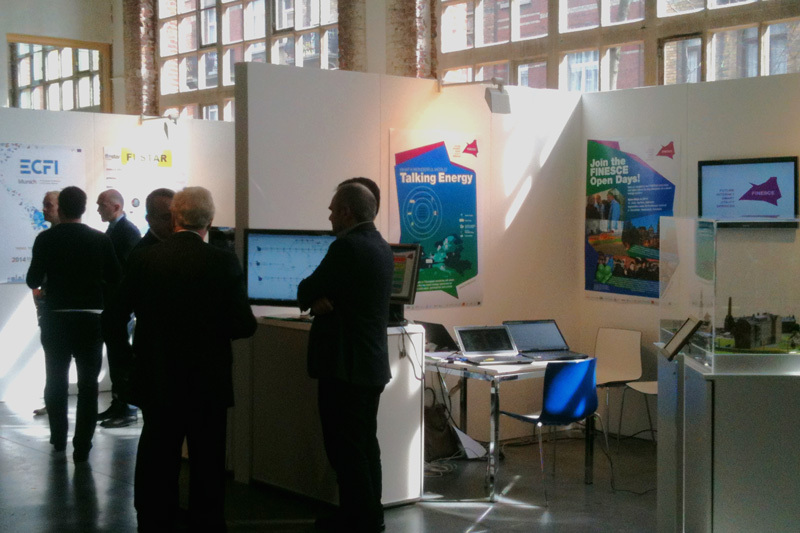 Eye catcher of the booth was a smart grid model provided by QSC. Via iPad game the visitors could balance energy consumption and production by steering the speed of a model railway.